If you’re planning a trip to Scotland, then it’s essential to do your research on the country’s most famous export – Scotch whisky. Whisky has been distilled in Scotland for hundreds of years and enjoyed by people all over the world. Visiting Edinburgh, Glasgow or the Scottish Highlands without sampling the local whisky is like going to Dublin and not drinking a Guinness. Although whisky is produced in other parts of the world, including American whiskey and Irish whiskey, but most people agree that Scotch whiskey is the best. To be officially classed as Scotch whiskey, the spirit needs to mature in oak for at least three years – giving it the distinguishable smoky taste. A single malt Scotch whiskey needs to be made from 100% malted barley, and the production and maturation must take place in Scotland. Read on for more interesting facts about Scotland’s Water of Life. There are five different whisky producing regions in Scotland, with distilleries located all over the country. The whisky making process is the same, however the single malt whiskies have different flavours and characteristics relating to where they are made. This is because the location can affect the taste due to the peat presence and the water source. Scotland is split into the following whisky regions: Lowland, Highland, Speyside, Islay and Campbeltown. Whisky is embedded into Scottish history and culture. The oldest known reference to Scottish whisky is a 1494 entry in the Scottish Exchequer Rolls. In 1690, a famous distillery is mentioned in the Acts of Scottish Parliament. However, it is thought that farmers were making distilled spirits from surplus barley well before these dates. There is a distinctive difference between single malt whisky and blended whisky. Blending was introduced in 1860s Edinburgh by Andrew Usher, and it’s only after this that Scotch whiskey became famous in England and beyond. Single malt whisky can be too strong for some palettes, so blended whisky is milder in flavour. There are no rules about how many whiskies must be used in a blend, and many blenders keep it top secret so nobody can recreate the distinctive taste. A blend usually consists of 15-50 single whiskies, made to a specific formula which brings out the best qualities of each element. 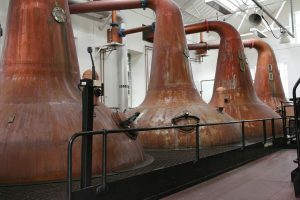 There are around 100 whisky distilleries in Scotland, each producing a uniquely tasting spirit. Many of these distilleries offer distillery tasting tours where you can learn more about the whisky making process and sample a dram straight from an ageing barrel. The Whisky Making Adventure in Perthshire is one of the most popular whisky experiences in the country. 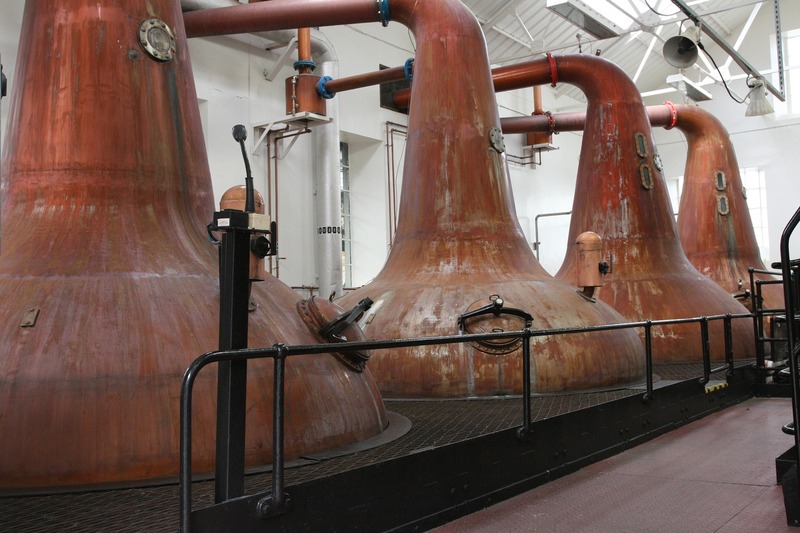 Don’t miss out on one of Scotland’s most loved treasures – book your distillery tour today.